This fun little freebie celebrates the love of books. Included in this file is a Heart Art optical illusion activity and a We Heart Books writing activity which will be completed using a special website that will create student answers in a heart shape. 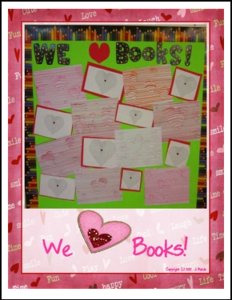 We used this activity for Valentine’s Day, but the LOVE of books is something that can be celebrated at any time of the year.